Chreish your experiences with bTaskee and become the winner of our hottest prizes today! At bTaskee, we always make sure that both our customers’ and bTaskers’ experiences come first. We uphold this belief because we believe that “a satisfied bTasker will provide a satisfying service for a customer”. 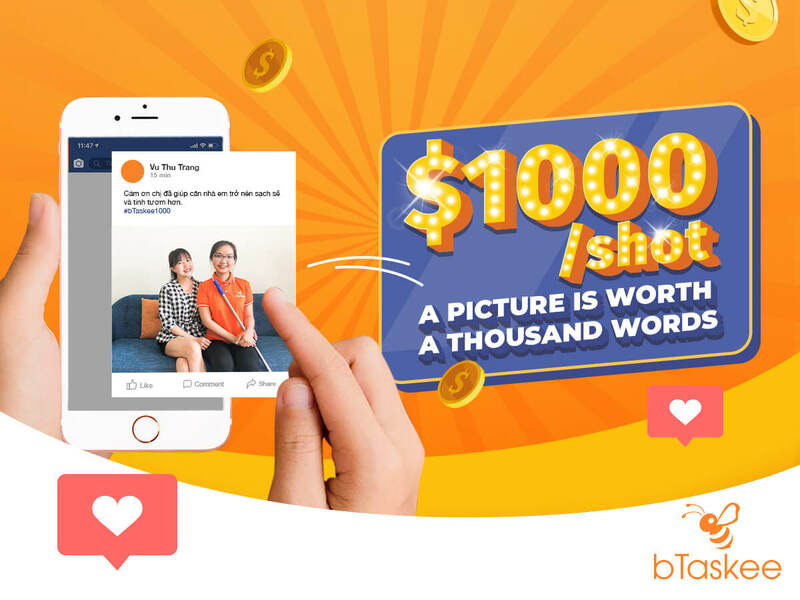 If you would like to express your appreciation and gratitude to our bTaskers, join the contest “$1000/shot- a picture worth a thousand words” and cherish your most beautiful moments of you and your bTasker together. - Step 1: Snap a photo with your bTasker after she finishes the task at your house. + The system will select randomly and only the luckiest photos will be awarded. + The ballot will be counted on livestream. The results will be posted on our bTaskee fanpage starting from 19h30 on 04/27/2019. - Special prize : 20.000.000 VND to the luckiest photo! - 01 First prize: each winner will get 3 hour of house cleaning service for free (each prize amounts to 150.000 VND). - 02 Second prizes: each winner will get 2 hour of house cleaning service for free ( each prize amounts to 100.000 VND). - 03 Third prizes :each winner will get 01 hour of house cleaning service for free. (each prize amounts to 50.000 VND). - The total value of the prize is 20.000.000 VND cash which includes 10.000.000 VND for the Customer and 10.000.000 VND for the bTasker. - Entry period: The contest begins on 04/01/2019 and ends 04/26/2019. - Result announcement date is 19h30 on 04/27/2019. - The qualified photo must meet with the all regulations in the contest. - Each qualified photo will increase your chance of winning the special prize from the contest. - No limit on the number of photos from each participating customer. However, each Customer and each bTasker can only be taken 01 photo together only. - Prize notification will be sent to the winner through email and mobile number. 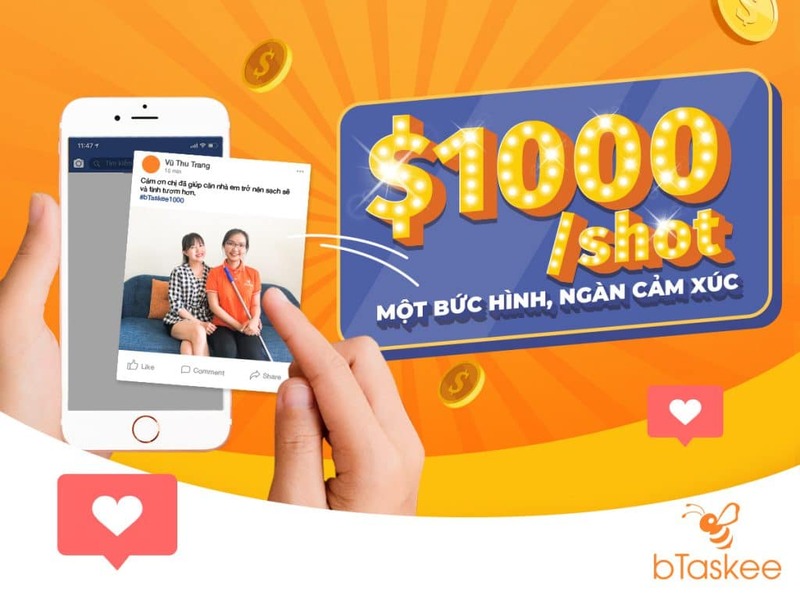 Schedule your task on bTaskee today, snap a photo and receive 20.000.000 VND together now. Home services at your fingertips.